Prepare the chocolate fudge cake recipe until the end of step 3. Preheat oven to 200°C (400°F). Heat a baking tray in the oven for 5 minutes. Lightly grease 12 x ¾-cup-capacity (180ml) metal pudding moulds or ovenproof ramekins. Pour ½ cup (125ml) of the cake mixture into each mould. + This recipe begins with uncooked cake mixture – simply prepare the basic recipe until the end of step 3. 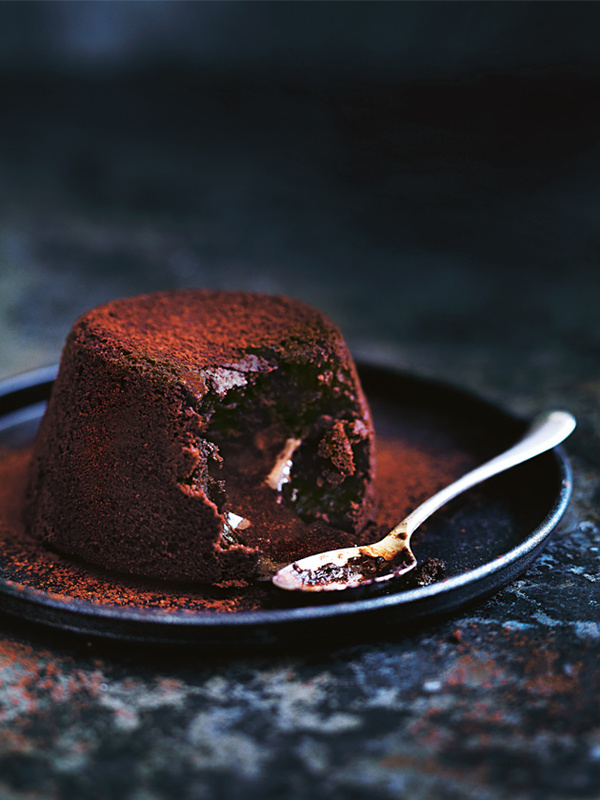 ++ These melt-in-your-mouth puddings are best served warm, either dusted in cocoa or topped with berries and double cream.